If you're a seasoned motorhome or camper traveller, you'll have to have it. If you've never thought the RV lifestyle would work for you, it could make you reconsider. It's likely the most important innovation since the slide room extension. It may be "just" a shower, but it could fundamentally change the RV market and experience forever. You don't have to be an RV full-timer to understand that water is one of the biggest challenges you'll face on a day-to-day basis. As in, where can I find more and get rid of the waste? And how long can I last without being connected to water—or put another way, how long can I enjoy the real freedom expected of the RV experience? For thousands of RV and camper owners around the world, it's a dilemma, but one they've grown accustomed to. They've learned to ration their water use, to take so-called "navy showers"— water on, get wet, water off, soap up, water back on and rinse, in about two minutes. That's all their hot water tanks and water reserves allow. It's become so ingrained as simply one of the inconveniences of RV life that no one has really questioned if there was a better way. Enter OAS Mobile from Orbital Systems. OAS is a recirculating shower that has started popping up in hotels, gyms and private homes around the world. It uses up to 90% less water and 80% less energy than a conventional shower, while providing spa-like pressure. And now, it is available in a mobile version for RVs, campers, fifth wheels, and motorhomes. As one video presenter for the 2018 Family Motor Coach Association (FCMA) rally put it: "I've been in this industry for so long...It's hard to get excited about too many things—but this is really exciting." More and more people are looking to live and vacation off the grid, while retaining the freedom to move about at will. That's why there are about 600,000 new RVs produced worldwide every year. And they're not just for retirees. "We have a family of 6 living in one of our units full-time," says Greg Wallace, CEO of SpaceCraft, a premium manufacturer of custom travel trailers, 5th wheels, semis and RVs. "In fact, most of our customers are full-time. Some retired, some travelling for work, in oil and gas or technology jobs for instance." In China, the trend towards new travel experiences, coupled with a growing middle class with more buying power, is powering interest in the RV lifestyle. The market is far from mature—but it's getting there, and growing every year. "Right now, around 7,000 RV units are sold domestically annually," says HAN Lei, CEO of CandyTech, a technology supplier to manufacturers in China. "But we're seeing growth of 10% year on year, partly due to changing buying behaviors, and partly due to the fact that the number of campsites in China is growing dramatically." Regardless of the customer or market, today it is more important than ever to consider the "smart home" experience in the design. Communication and performance features that can be used and tracked digitally are more than desired—they're expected. The OAS Mobile speaks directly to the modern RV owner, offering a spa-quality shower that saves water and energy, and that tracks usage and savings in real time. For HAN Fei, the opportunity is clear. "We were really impressed with the OAS technology and home shower. But after our partner training with Orbital in Sweden, we decided together that the RV market was better from a market-readiness and potential perspective. We can see ourselves as champions of this segment." In the US, Orbital has a strong partner in Osys Mobile, the exclusive reseller of the OAS Mobile product line. SpaceCraft, one of Osys’ most innovative customers, is the ideal leader in the space because all of their builds are custom. That allows a lot more design flexibility and engineering leeway, so a customer can order the shower as an option from the start and have it as part of their new home already on delivery of the unit. And because SpaceCraft is known for being at the forefront of innovation in all things RV, OAS Mobile is a natural and welcome option their customers would expect from them. "Basically it lets you take a shower like you'd take at home while you're boondocking (camping/living with no hookups for water or electricity)", says Greg. "It's even better than home. Every other RV system is just use it and lose it. Water is crazy important to the RV situation, because you've got typically 50 gallons and it has to last you. The longer your water lasts, the longer you can dry camp." OAS Mobile is an adaptation of the original OAS technology from Orbital Systems. That recirculating shower concept was a result of founder Mehrdad Mahdjoubi's work on the Mars Mission project with NASA. His job was to find ways to make limited water supplies last the length of an off-world mission. It led to innovative water purification technology that could be applied with even more potential right here on Earth. OAS showers recirculate a small amount of water, continually filtering and temperature-correcting it for as long as you shower. To improve the lifespan of the filters, the system flushes out the water that is too contaminated, for instance with soap, and replaces it automatically with small amounts of new fresh water. An OAS shower uses up to 90% less water and 80% less energy compared to traditional showers. And the savings are tracked and saved digitally, so you can see and compare your sustainability performance over time. OAS Mobile offers the same benefits, but is 30% lighter overall—a significant benefit to RV's. The drain unit has also been modified to work with the limited space in an RV. The water and energy savings are similar. And the flow rate is very strong, offering a spa-like shower experience for as long as you like—wherever you happen to have parked. It might just be the best shower you've ever had, even as a homeowner. At the 2018 RV SuperShow in Tampa, some visitors would discreetly turn off the shower as they toured the SpaceCraft show trailer. Others would just whisper to Greg: "You left your shower on!" Either way, the right instinct for experienced RV enthusiasts. "It's something they never really thought of," says Greg. "They never knew it was an option. And it blows them away." Once visitors had been assured the showers were supposed to be running, and that no water was being wasted, the light bulb would go on—an "aha" moment for a technology they had never seen or expected. The engagement was instant. "We would throw a little salt in, and they could see how it works—a really neat demonstration with a strong impact." The next big roll-out for OAS Mobile will be at the Beijing RV Show, March 12-17, 2019. 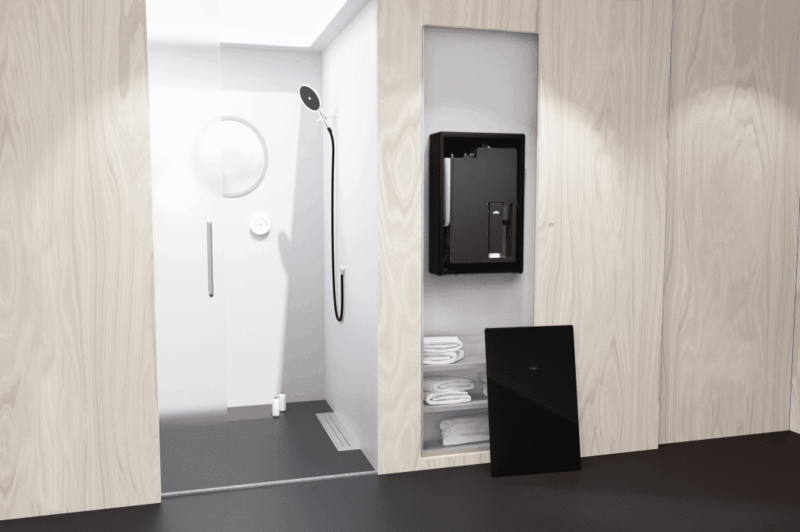 The shower is being integrated into local manufacturer ZD-RV's pick-up RV. "We've already visited a few manufacturers, and all of the high-end suppliers are looking forward to the technology," says HAN Fei. "In fact, the ZD-RV team agreed to the demo of OAS Mobile in their show model based on digital marketing materials alone. That's how high expectations are." 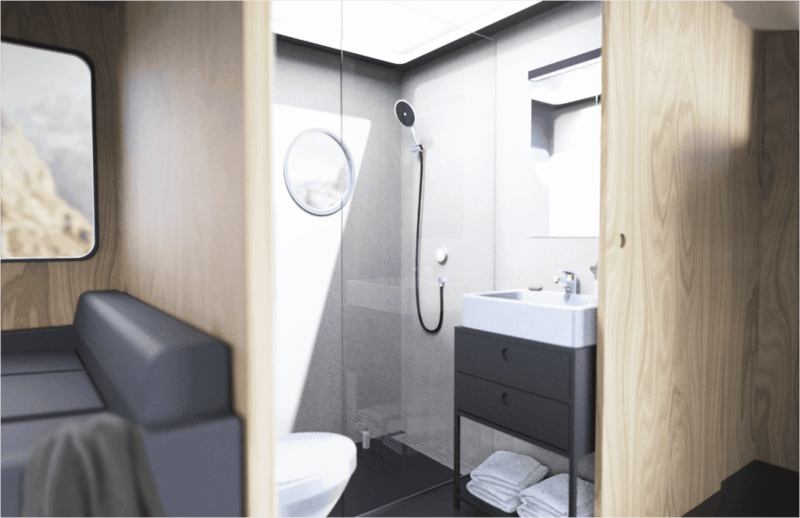 In Europe, the showers are already being fitted into some RV models, and will be introduced in select markets throughout the year. "OAS Mobile is already being integrated into one of the builds we have on order, so there's definitely some excitement and demand for it." Not a complete surprise, considering the importance of water management to RV owners. They may not have had the option of a technological solution—and so never thought they had a need for one—but they do now. 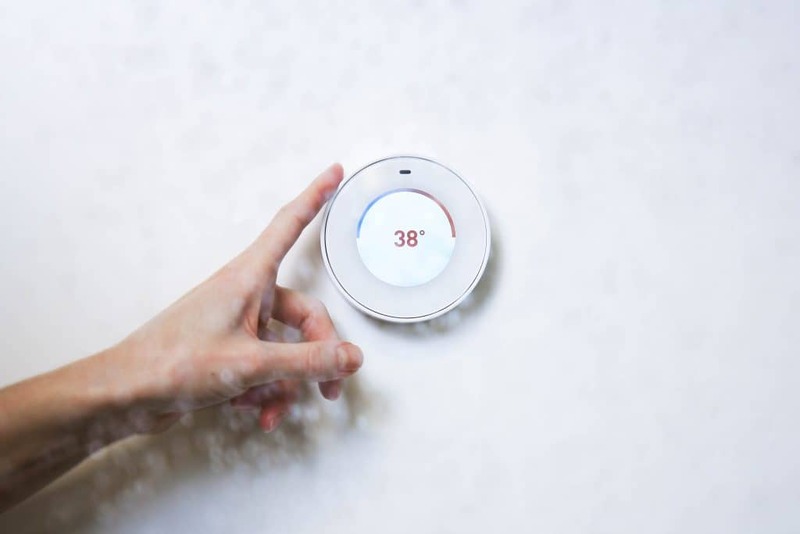 "This is technology that will fundamentally change how people shower in RV's," says HAN Fei. "I'm quite confident it will be the superstar of the Beijing RV show." "In Tampa, we were the only RV that had our shower running," says Greg. "And this is the biggest show in the US—no one had seen this before." They've seen it now. And they'll be seeing it again this year, in other parts of the US, Europe and China. RV owners are realizing they can turn a 3-day dry camp into 30. Dreaming of the adventures that are possible with their new-found freedom. And appreciating that maybe, just maybe, they'll never have to take a navy shower again.